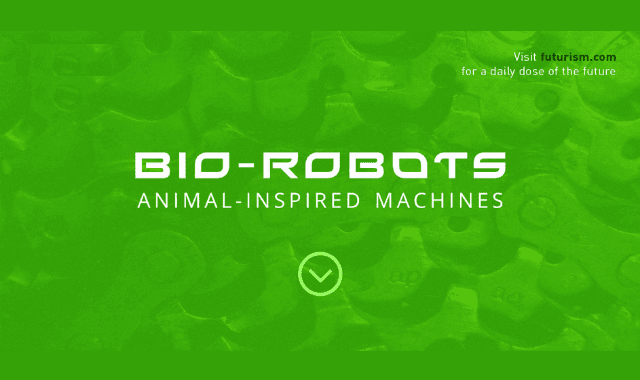 Bio Robots: Animal Inspired Machines #Infographic ~ Visualistan '+g+"
Biomimetic robots, or bio-rebots, are those that mimic the movements of natural creatures. Of particular interest to scientists is how animal bone and limb structures translate to unique locomotion - crawling, slithering, swimming, scaling walls and even flapping wings. Such robots have the potential to assist humans in a variety of ways. They could creep into tight spaces to inspect damaged facilities, squirm into tiny crevices to search for trapped survivors, or provide aerial surveillance to government organizations tracking poachers. Here are some of the ones that already exist.